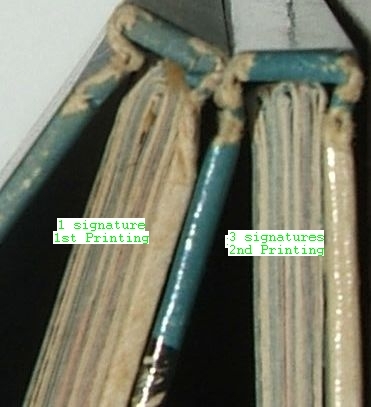 Book spine: Single signature; 2nd issue and later printings have three signatures. 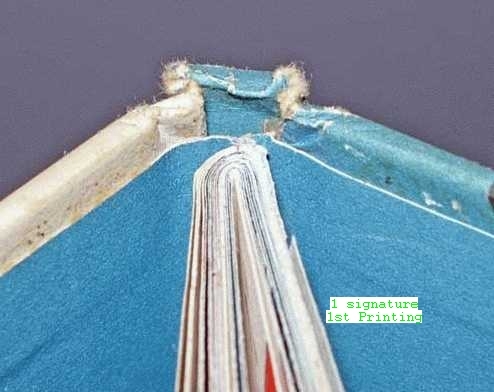 Be very careful with sellers substituting the 1985 facsimile dust jacket on the first edition book. The only difference between the 1985 facsimile DJ and the first edition DJ is the phrase “Printed in U.S.A.” on the bottom back flap of the facsimile. 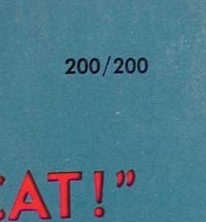 Dr. Seuss responded to this “challenge” by rigidly limiting himself to a small set of words from an elementary school vocabulary list, then crafted a story based upon two randomly selected words—cat and hat.